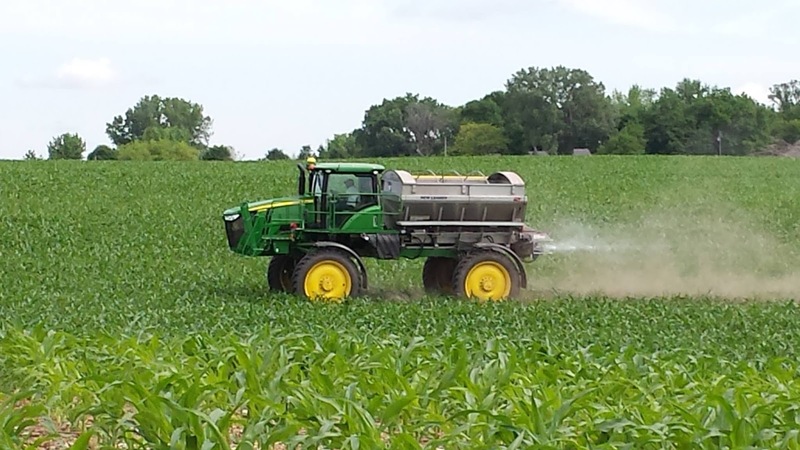 Spring fertilizer decisions: What are the top considerations? After a fall when planned fertilizer applications could not be made, tough decisions need to be made in spring. Planting at the optimum time is crucial to ensure optimal yield potential for corn, and waiting to apply fertilizer can result in significant delays to planting. Options for applications post-planting are more limited with nutrients which do not move in the soil. While nitrogen and sulfur can be broadcast on the soil surface and incorporated by rainfall, that option is not ideal for phosphorus or potassium. To reduce the risk of delayed planting, there are several considerations to ensure planting is on time while maintaining optimal availability of phosphorus and potassium. Soil tests help assess whether the soil has the capacity to supply adequate phosphorus and potassium. The greatest risk for yield to be limited by phosphorus, potassium, or zinc is when soils test Medium or lower. Prioritizing fields with Medium or Low soil test values is important to ensure crop yield will not suffer. If fields test High to Very High in phosphorus, potassium, or zinc, it is highly unlikely fertilizer is needed and there is a low risk for yield loss compared to delaying planting until later in the spring. The rate of decline for soil test values is slow, so not applying one year is not likely to result in a large enough decrease to require a substantial increase in fertilizer applied the next year. Do you need that extra few pounds of fertilizer? Growers using a removal-based recommendation system can feel pressured to increase rates based on recent yield levels in their fields. Removal-based guidelines rely on book values for nutrient concentrations in the harvested grain. Book values represent estimates of the concentration of nutrients in the grain and may or may not be accurate for a given field within a given year. Calculating the amount of fertilizer needed to replace removed nutrients down to the pound is not realistic. With phosphorus and potassium in responsive situations, generally some fertilizer is better than none, and we seldom find meaningful differences in yield with 10 to 20-pound variations in nutrient application rates. Making small adjustments on the fly to the amount of fertilizer applied is unnecessary, and bumping rates 10 to 20 pounds could decrease profitability. What options do I have other than broadcast fertilizer? Starter fertilizer may be a good option to consider this spring if you cannot wait for fertilizer to be applied. Research has shown that a low rate of phosphorus applied in-furrow can be sufficient to ensure maximum corn grain yield for Medium or higher soil test values. For potassium, the primary question to consider when applying starter fertilizer is, am I applying enough? Most phosphorus and potassium starter fertilizer sources contain a relatively small amount of potassium relative to phosphorus due to the benefits phosphorus has on corn growth early in the season. If soil tests are above 200 parts per million potassium, it is unlikely that potassium will benefit corn or soybean yields. With in-furrow application of fertilizer, it is important to keep rates low to avoid damage. Farmers with options to band fertilizer to the side of the row with the planter have greater flexibility in what rate can be applied, and have options in years when planned broadcast applications cannot be applied. Remember, phosphorus and potassium fertilizer should not be applied in situations where runoff is likely as fertilizer is water soluble and will move with water. Paying close attention to field conditions is critical to ensure that your investment in fertilizer is protected. Determining whether fertilizer is required can help you figure out the best course of action should fields remain wet for extended periods of time, potentially delaying planting.